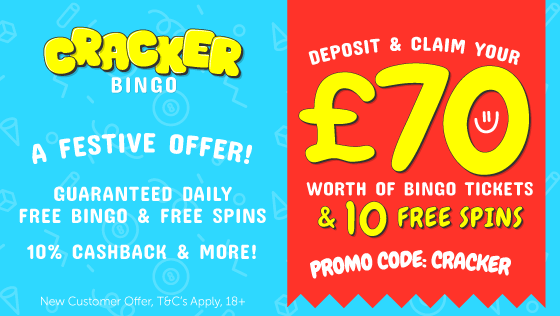 Even though Costa Games has not been around for a very long time in comparison to its sister site Costa Bingo, it is proving to be just as popular. Sunny the mascot who looks after you at both these sites, is just as generous with his bonus awards. Join as a new player today and you can receive a 100% cash match bonus. 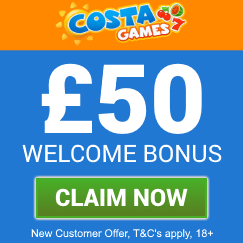 This means you can get £50 bonus plus 100 free spins at Costa Games. This is a great way to start your enjoyment of this slots and games only website. If you would like to get £50 free plus 100 free spins at Costa Games then click the image or claim button above, or the button below. Any of these options will take you through to the Costa Games website. Once you are on their homepage, select the JOIN NOW button at the top right corner of their website. Then simply complete in full the online registration form to open your account. All new players to the site are actually awarded a special bonus just for registering an account. You will receive 5 Free Spins with no deposit needed. You can use these on either the Enchanted Prince or Magical Forest slot depending on whether you registered via a desktop PC or a mobile device. 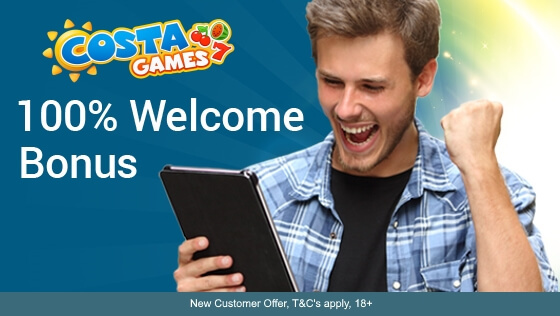 Then when you add funds to your account for the first time, you will receive the 100% cash match and you can get £50 bonus plus 100 free spins at Costa Games. This depends on how much you deposit. This offer is only available once on your first deposit, so make sure you make the most of the cash match. The minimum you can deposit is £10 and the maximum is £50 for the bonus award. Whatever amount you decide on will instantly be doubled and added to your account. Then, in addition, you will receive 100 free spins over the course of the next 27 days. You will be credited with 10 free spins within 10 mins of making your deposit and then every 3 days you will get another 10 free spins. Although there is no bingo at Costa Games, the site is part of a group of bingo sites all from the same developer. These include Costa Bingo, Sparkly Bingo and Giant Bingo to name just a few. Each of these are quality fun sites and that is the same for Costa Games. So why not try this slots and games only site today and get £50 bonus plus 100 free spins at Costa Games!